A low constipation iron formulation which is well tolerated and gentle on the digestive system. It helps reduce fatigue and tiredness caused by low dietary iron intake. 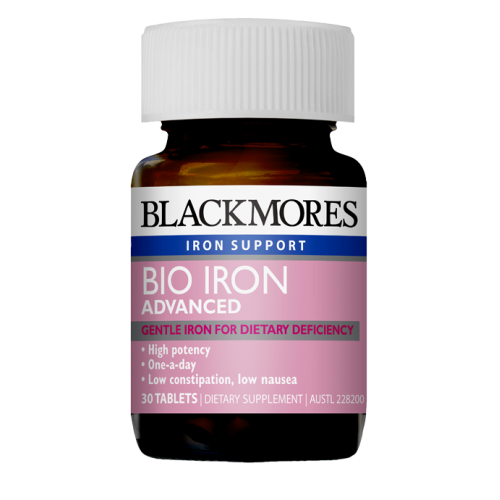 Iron may decrease the absorption and efficacy of some medications. If taking methyldopa, carbidopa, levodopa, thyroid hormones, penicillamine, tetracycline or quinolone antibiotics or bisphosphonates (osteoporosis drugs) separate doses by at least 2 hours.